Broccoli Salad. What can I say? It doesn’t sound that great, right? As kids we had to be told to eat our broccoli, unless it was covered in cheese. At least, that’s how it was in most houses. Raw broccoli was another thing entirely! I’d eat it if I was starving and I could submerge dip it in ranch dressing. Then, as I got older, I realized that I could eat almost as much raw broccoli as I could handle and loose weight. I didn’t always enjoy it but I did enjoy not being hungry, so I ate it. 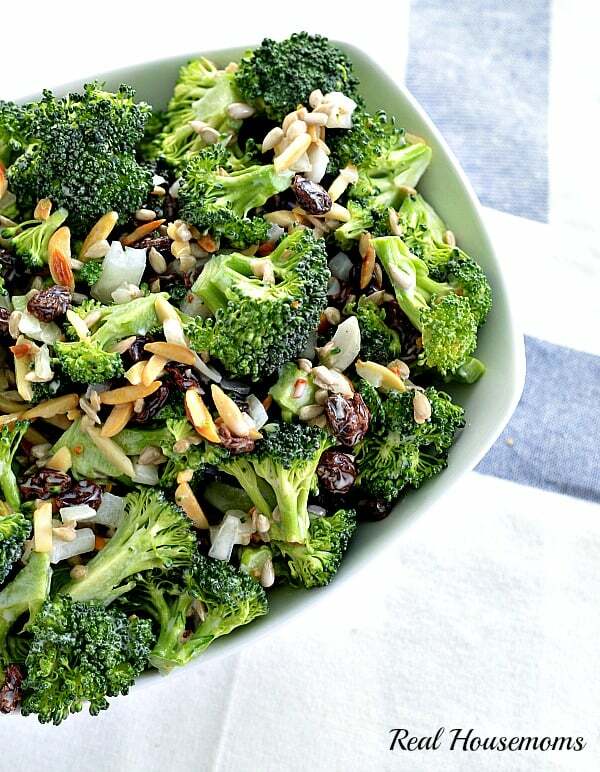 But THIS Broccoli Salad is a game changer! 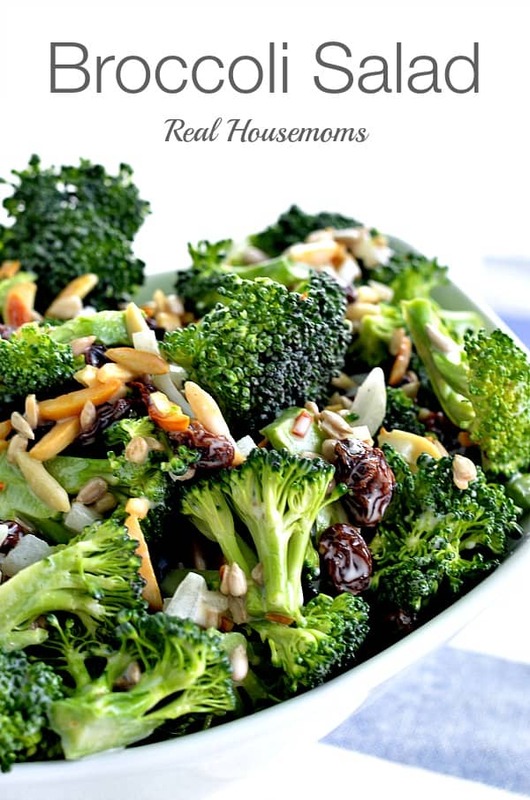 Broccoli salad is a delicious side dish! I've been making this for years during the spring and summer and it's always gone fast!!! this was on my face book and I am always looking for fast, easy recipes for 2 people . Thanks. I used raw broccoli for this salad. So thrilled I have this recipe!! I too cannot walk out of Costco with just the salad. Also, happy to have the dressing recipe as I would love to use it on more than this salad.